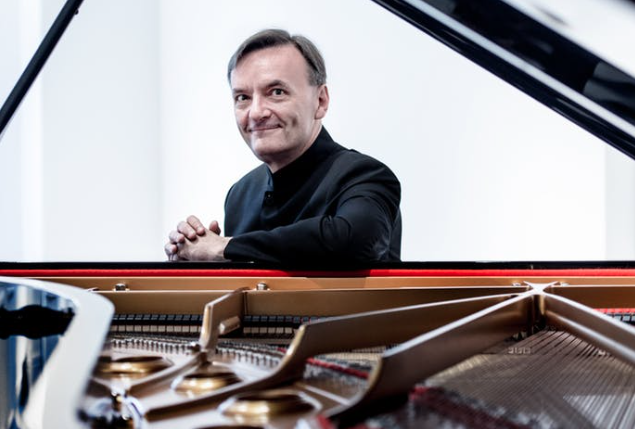 Stephen Hough in recital at Carnegie Hall. The always dapper Stephen Hough and friend. Photo by Sim Canetty Clarke provided by Carnegie Hall. There's a three-word cliché used by tired (and too-wired) classical music journalistas to describe Stephen Hough. That cliché is the "thinking man's pianist." Cliché or no, he remains an intelligent and slightly aloof artist, who is most often heard in the concerto format. On Tuesday night, Mr. Hough, a dapper gent (who looks like he just auditioned for a certain BBC science fiction series) made his welcome return to Carnegie Hall for an evening of Debussy, Schumann and Beethoven. 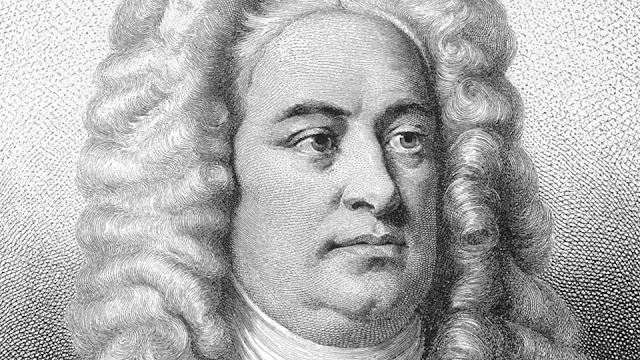 Or we could call it: “Getting a Grip on Handel” but then even less people would take it seriously. Big mssn in s big wig: the composer George Frideric Handel. As is the case with many of the good things in life, I came to Handel late. Oh sure, I knew who he was. German guy who lived in England. Wore a wig. Wrote the album of flute concertos I cherished as a kid--judt about the only classical cassette I had before I turned 16. I had even visited his grave in Westminster Abbey when I was maybe 14. I was impressed!Here was the grave of a real composer, a famous one. But he remained an enigma. He had written Messiah and he was famous for that. But when I grew up, we didn't go to Messiah at Christmas and it had never occurred to my parents to take me. We sang "Hallelujah!" at Easter. Sometimes. A wounded king. A community in crisis. A lake of blood. Wagner's final opera returns. in Act II of Parsifal. Photo by Ken Howard © 2018 The Metropolitan Opera. The Met brings back the most eagerly anticipated revival of the season: François Girard's staging of Wagner's medieval "Grail opera" Parsifal. This is a story of suffering, sin and redemption and this astonishing staging employs 1,250 gallons of stage blood. All at once. 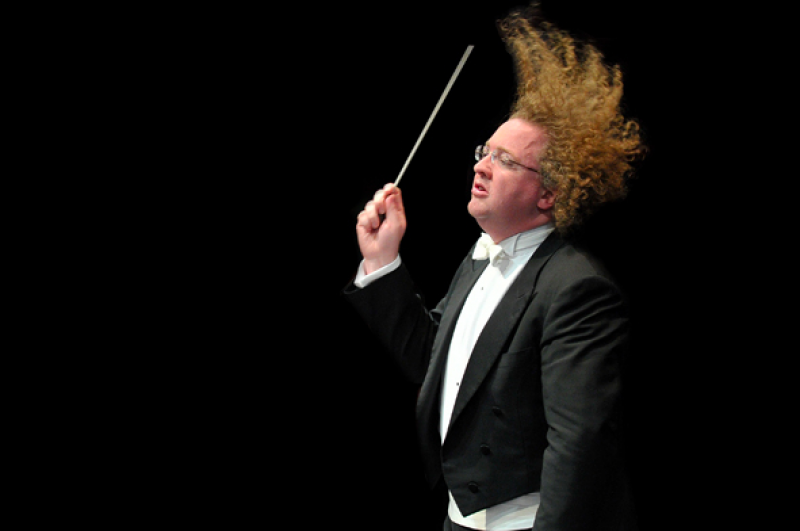 Stéphane Denève brings Prokofiev back to the Philharmonic. "If you want them to take you seriously you've got to have serious hair." Stéphane Denève. Photo from the Royal Scottish Opera by Chris Christodoulou. Sergei Prokofiev gets a bad rap. Oh sure, he's a major composer of the 20th century, a fearless innovator whose music pushed boundaries in the areas of piano, orchestral work, opera and ballet. And yet there is something of the sidelong glance, something of the raised eyebrow among music elitists that keeps his huge catalogue from being programmed regularly outside of Russia. Sure, the works are technically difficult, but this writer would postulate that said programmers are never quite sure if the composer was being serious or was secretly laughing at his audience. 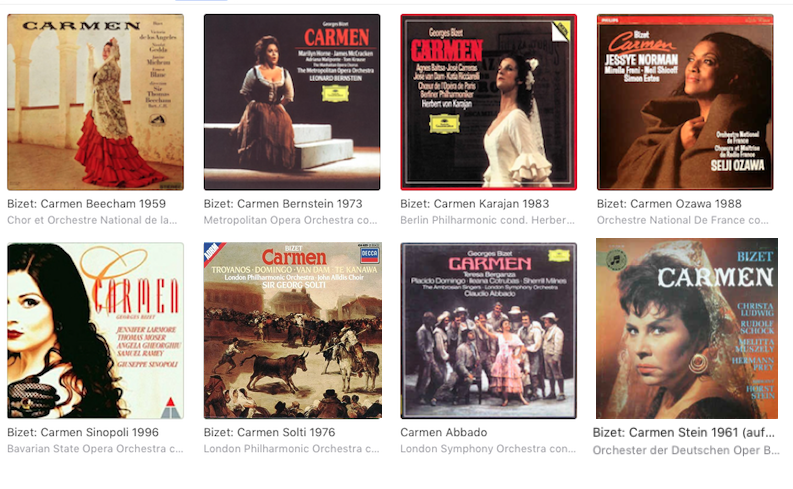 My long relationship with Bizet's Carmen. Photo by the author, screen cap taken from my iTunes. Q: "What do you call two guys driving to the opera house?" I first met her when I was nine (maybe ten) years old, in my first year of going to the New York City Opera with my parents. A dusky, dark-haired bohémienne vixen with a rich mezzo-soprano voice (it was either Judith Forst or Susanne Marsee) that seductively sang in French, a language I knew little of. And yet, for that prepubescent kid sitting in the New York State Theater with his Mom and Dad (at his fourth opera!) Carmen was already something special. The show mixed spectacle, comedy and tragedy in a dizzying brew, laughing in the orchestra even as its characters hurtled toward disaster in the fourth act. And thanks to Dad's record collection, I already knew some of the music. The Cleveland Orchestra turns Haydn's The Seasons. 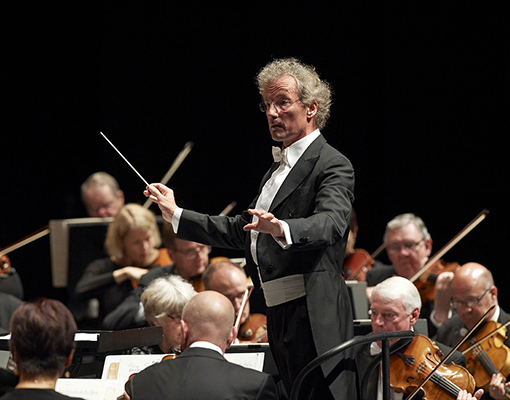 Franz Welser-Möst and the Cleveland Orchestra. Photo by Roger Mastroianni © 2017 The Cleveland Orchestra. You don't hear the Haydn oratorios much. The father of the symphony and the string quartet wrote two late ones for his London audiences following the success of his cycle of late symphonies. Of the two, it is the first The Creation that shows up on the occasional choral program. 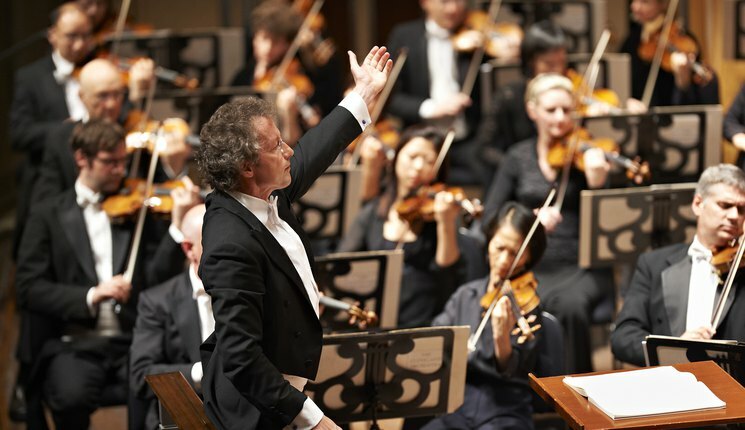 On Wednesday night, Franz Welser-Möst and the Cleveland Orchestra made their case for The Seasons (German title: Die Jahrezeiten) with a concert performance of the piece on the big stage at Carnegie Hall. The Cleveland Orchestra sails into Carnegie Hall. White tie and tails: Franz Welser-Möst. The River Danube flows through southeastern Europe for 1,780 miles, from its source in Germany down into the Black Sea. It has captured the imagination of composers for centuries, who have used its waters as the inspiration for their art. On Tuesday night at Carnegie Hall, the Cleveland Orchestra and its music director Franz Welser-Möst gave the first New York performance of Stromab by the young Austrian composer Johannes Maria Staud alongside the autumnal and always challenging Symphony No. 9 by Gustav Mahler. 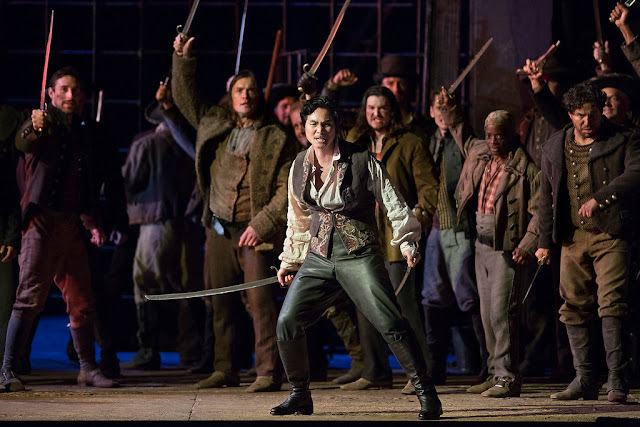 The Metropolitan Opera locks up Il Trovatore. 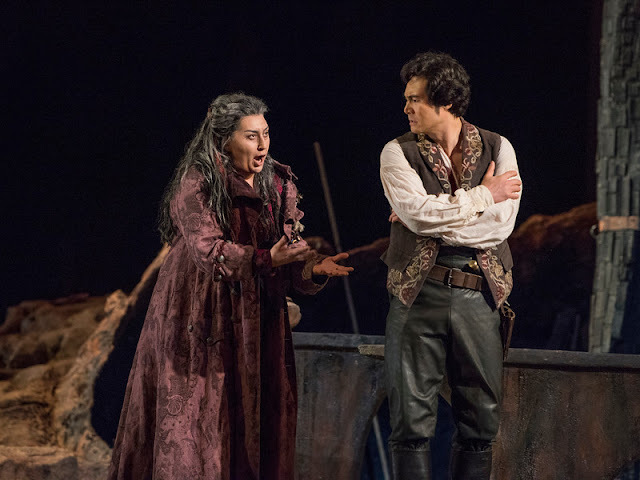 Azucena (Anita Rachvelishvili) pleads with Manrico (Yonghoon Lee) in Act II of Il Trovatore. Much as the Metropolitan Opera would have it differently, it is virtually impossible to write about performances at that house in this current season, without mentioning James Levine. The currently suspended music director emeritus looms large over everything this season, including this week's latest revival: the company's red-blooded staging of Verdi's Il Trovatore. What made this Trovatore interesting for the regular Met-goer is it also marked a sort of passing of the torch: from the Netrebko-Hvorostovsky school to a brave new world of lesser known singers taking on the opera's four difficult central roles. The Royal Concertgebouw plays Bruch and Mahler. on Thursday night. Photo courtesy Decca/UMG. The second night of the Royal Concertgebouw's 2018 stand at Carnegie Hall did not scale the same dizzying heights as its first. This performance, led by music director Daniele Gatti featured the Dutch ensemble setting aside the cosmic considerations of Bruckner for the earthier world of a composer that has proved even more popular: Gustav Mahler. Daniele Gatti climbs Wagner and Bruckner's stairways to heaven. 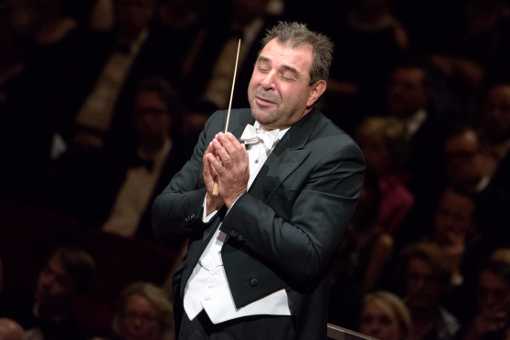 Daniele Gatti at the helm of his inaugural 2017 concert as music director of the Royal Concertgebouw Orchestra. Photo by Mladen Pikilic for the Royal Concertgebouw Orchestra. The final utterance of a major composer is often an insight into their innermost thoughts. In the case of Richard Wagner and Anton Bruckner, (two composers who knew each other in life) those utterances, performed by the Royal Concertgebouw Orchestra at Carnegie Hall on Wednesday night, were very different indeed. Wagner was a man of the theater turned to the mystic epic of Parsifal and the story of the Holy Grail and the Kingdom of Montsalvat. Bruckner, who revered Wagner, found his Grail in the structured form of the symphony, offering a Ninth that he would not live to finish. The Met revives Verdi's blood-and-thunder masterpiece with an invigorating cast. Man with a plan: tenor Yonghoon Lee sings "Di quella pirra" in Act III of Il Trovatore. The ne plus ultra of potboiler plots, characters written larger than Marvel® super heroes, instantly catchy, hummable tunes and a history that includes one-time participation by the Marx Brothers (in A Night at the Opera). What's not to love about Il Trovatore? 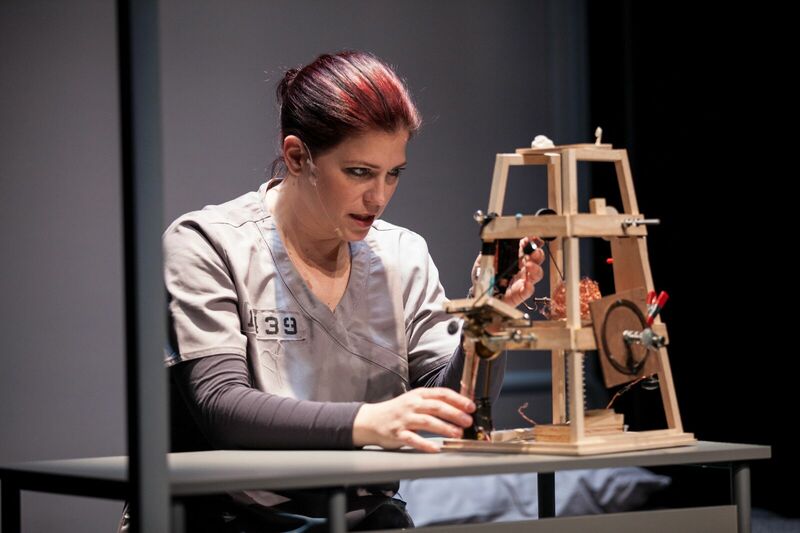 The Prototype Festival brings Fellow Travelers to New York. 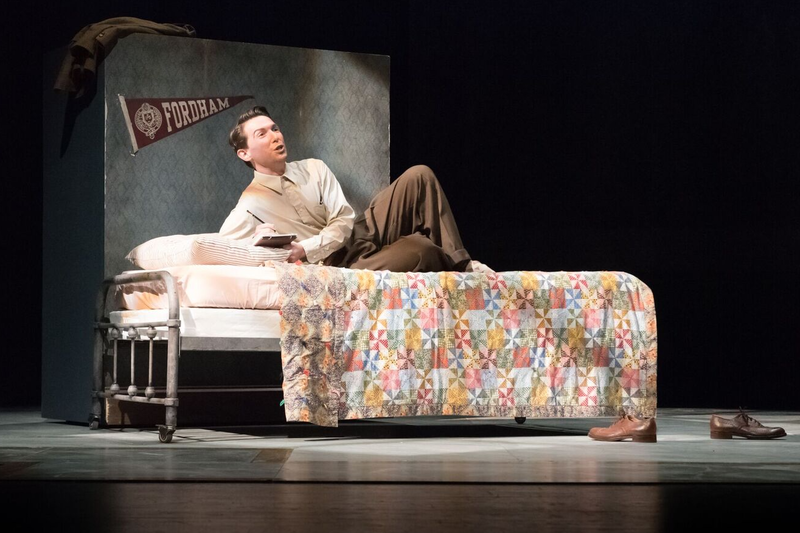 A young, idealistic Fordham Ram: Aaron Blake as Timothy Laughlin in Fellow Travelers. Photo by Jill Steinberg for the Prototype Festival. Despite the best efforts by the current party in power in Washington D.C., America is a very different place than it was in 1953. Today, gay relationships are socially acceptable and gay marriage is the law of the land, but those freedoms are threatened by political and religious leaders with very different ideas. That alone makes Fellow Travelers, the new opera by composer Gregory Spears and librettist Greg Pierce the most powerful and politically relevant opera to be mounted in New York this season. 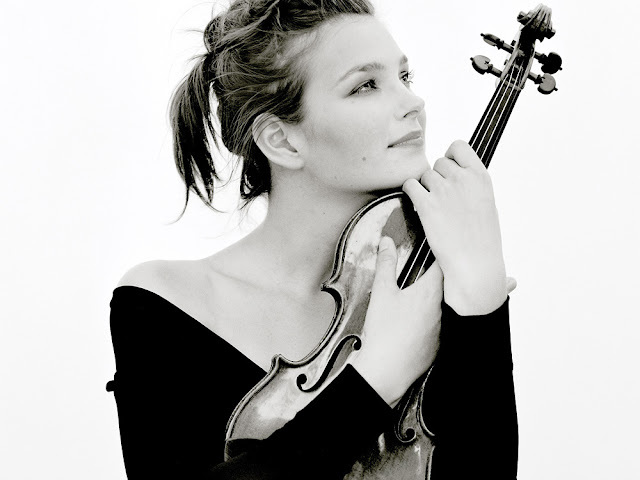 Susanna Mälkki returns to the New York Philharmonic. The conductor Susanna Mälkki returned to the New York Philharmonic this week. Photo by Sakari Viika © 2017 Helsinki Philharmonic Orchestra. Just a couple of years ago, a number of names were tossed around as candidates for who should become the New York Philharmonic's next music director. 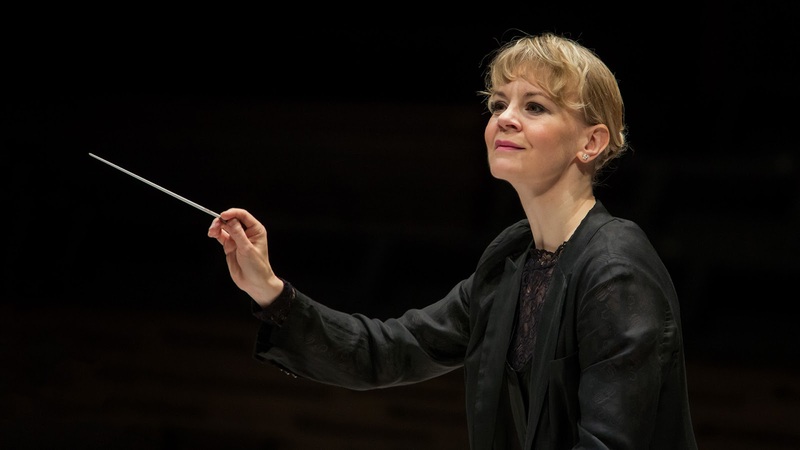 One of the leading candidates was Susanna Mälkki, the Finnish conductor who is best known to New Yorkers for leading the 2016 New York premiere of her compatriot Kaija Saariaho's opera L'amour de Loin. Ms. Mälkki did not get the job, but she returned to the Philharmonic this week. Prototype premieres Mikael Karlsson's The Echo Drift. A clockwork redhead: Blythe Gaissertt as Walker Loats in The Echo Drift. 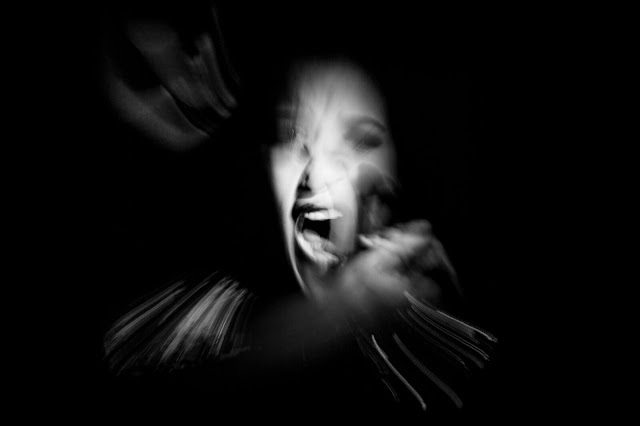 Photo by Olga Baranova © 2018 PROTOYPE Festival. Opera Review: "Wake, My Beauty, Wake!" The Prototype Festival unleashes Acquanetta. Image from Acquanetta by Maria Baranova-Suzuki © 2018 Prototype Festival. A hovering, rotating camera rig. A mysterious room. A Hollywood starlet. A transplanted brain. And the thunderous sound of an electric guitar, electric bass, three string players and an electronic keyboard.. 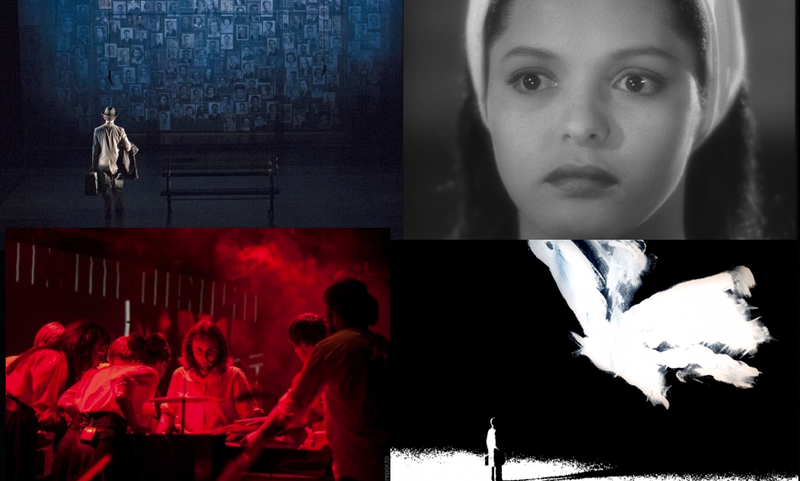 These are just some of the elements that made up Acquanetta, the new opera by Bang on a Can! Founder David Gordon that opened the Prototype Festival last night. 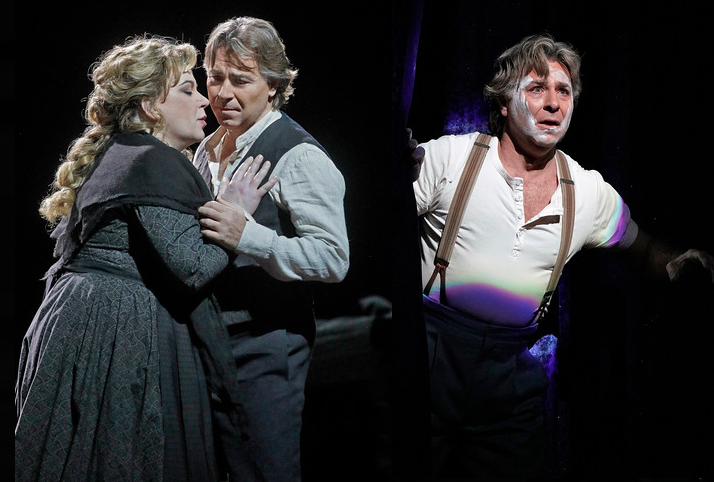 Roberto Alagna doubles up in Cav-Pag at the Met. star tenor goes on to sing Pagliacci (right.) Photos by Ken Howard © 2018 The Metropolitan Opera. On Monday night, the Metropolitan Opera opened the first revival of 2018: a reprise of Sir David McVicar's 2015 production of that durable verismo twin bill: Cavalleria Rusticana and Pagliacci. This run featured the return of Roberto Alagna to the principal tenor roles of each opera (a feat he also managed last season) against the actor who played the two antagonists in the production's premiere: baritone George Gagnidze. Concert Review: Who's for Trifle? A light program at the Philharmonic with Jeffrey Kahane. 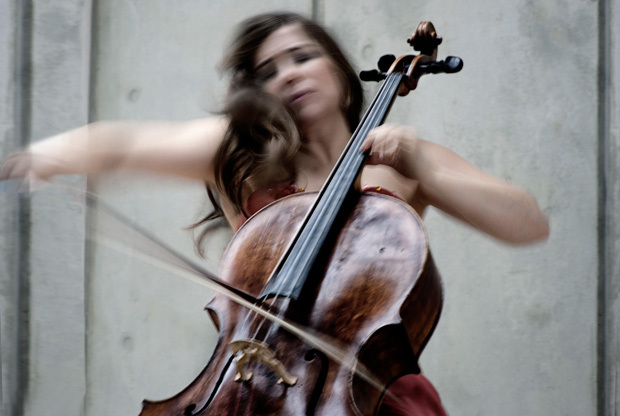 Cellist Alisa Weilerstein guested (briefly) with the New York Philharmonic this week. Photo by Harald Hoffmann, © 2018 Decca Classics. New Yorkers (and I am one by birth) are a hardy bunch. Not even the purported bomb cyclone and sub-freezing windchill could keep them away from this week's concerts at the New York Philharmonic, the first of the new year on the stage of David Geffen HallHowever, given the short length and relative light weight of this program, it may be a matter of some debate if the concert was worth braving the elements. The kiss of life-and death. 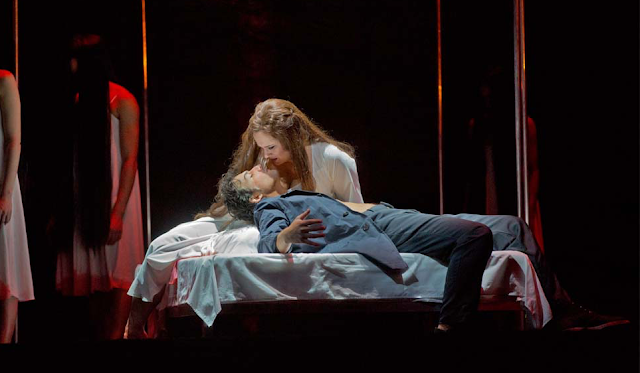 Katherine Dalayman is atop Jonas Kaufmann in the Met's Parsifal. 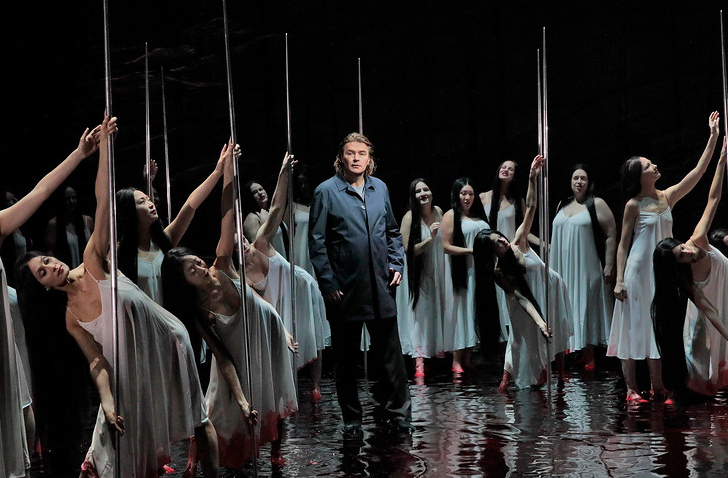 The Metropolitan Opera's 2013 François Girard production of Wagner's Parsifal is back on the stage next month. So it's time to revisit the Sony DVDs of the Live in HD broadcast of the opera, filmed over two performances in March of that year. Watched here on two DVDs, this Parsifal remains gripping, a look back at this forward-thinking production which owes something to post-apocalyptic environmental disaster and something to an involved medical procedure show from late-night broadcast television. This Donizetti comedy hits you right in the...grapes. 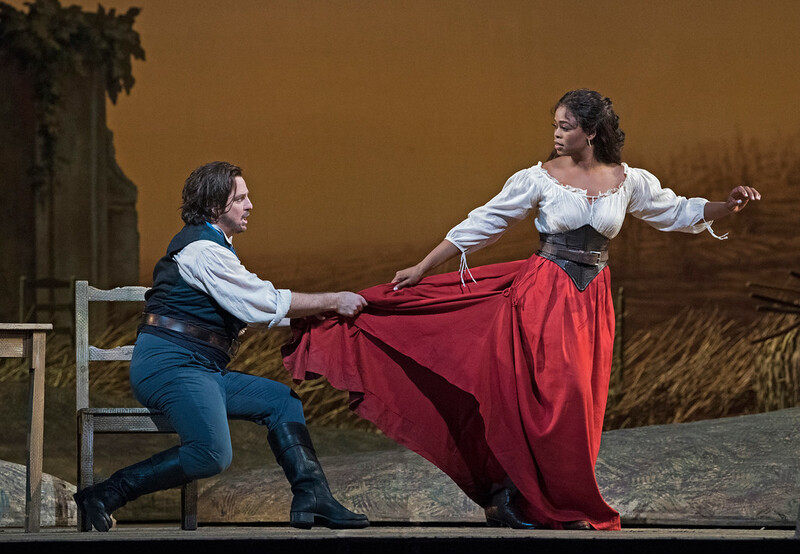 The stars come out: Matthew Polenzani and Pretty Yende in L'elisir d'Amore. Donizetti's charming pastoral comedy is the ideal warm-up for a New York City winter. It returns to the Metropolitan Opera stage with soubrette star Pretty Yende in the role of Adina and Matthew Polenzani reprising the role of the persistent, love-struck Nemorino. Leonard Bernstein's very weird 1973 Carmen. 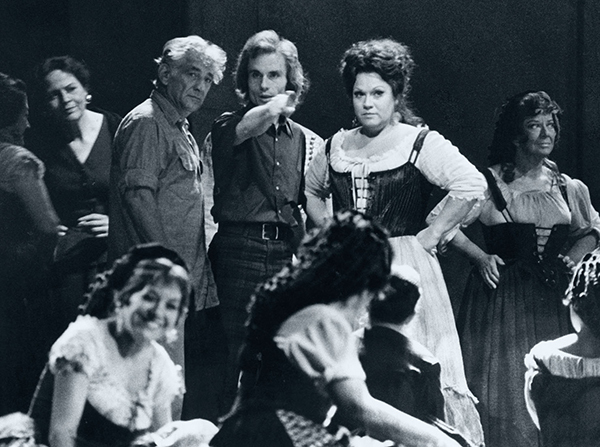 Leonard Bernstein (left) and Marilyn Horne (right) flank the stage director in rehearsals for Carmen. Photo by F. Fred Sher © 1972 The Metropolitan Opera Archives. Despite having a long catalogue, Leonard Bernstein did not record that many operas. One of the more interesting ones is a 1973 recording of Carmen made by the maestro and the Metropolitan Opera Orchestra. It is not the best recording of George Bizet's opera but it is certainly interesting, capturing the energy of this seminal work. The recording is studio-bound, based on a series of six performances led by the maestro at the Met in October of 1972. The Merry Widow kicks it at the Met. 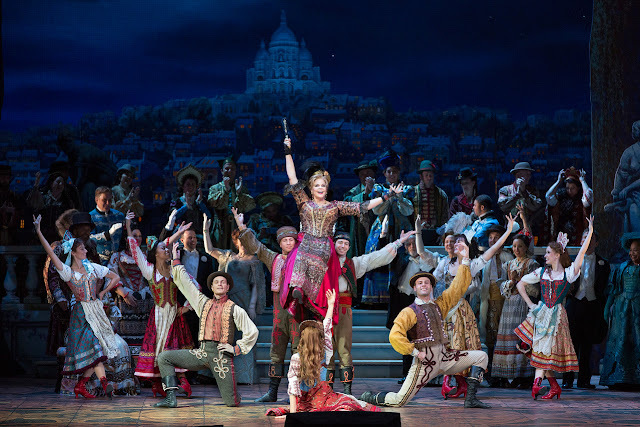 Susan Graham is game in Act II of The Merry Widow at the Met. When the Peter Gelb era at the Metropolitan Opera is examined in posterity, the recent renaissance of operetta on the stage of that institution may rank among the general manager's more questionable endeavors. This season, the company is reviving its 2014 staging of Franz Lehár's The Merry Widow in its awkward English translation by house scribe Jeremy Sams. The saving grace of this revival is that it is a vehicle for Susan Graham, in her only role at the Met this season. Superconductor breaks down this year's Prototype Festival. (clockwise from upper left: Fellow Traveler, Acquanetta, The Echo Drift and IYOV). All images © 2018 Prototype Festival. The verismo twin bill returns in darkness and light. 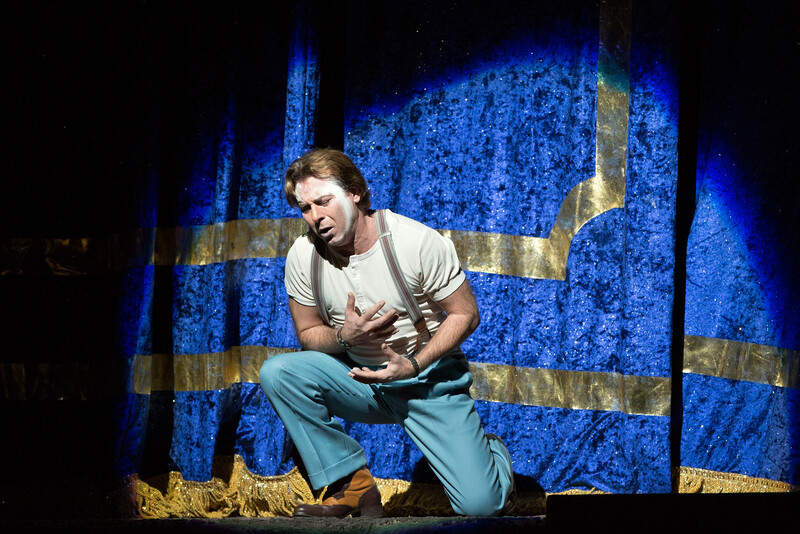 Roberto Alagna puts the greasepaint on as the killer clown in Leoncavallo's Pagliacci. The Metropolitan Opera revives its 2015 staging of "Cav/Pag", the most famous double bill in opera. Pietro Mascagni's Cavalleria Rusticana is a story of adultery, revenge and murder (in that order) in a rural Sicilian village. Pagliacci, also a story of adultery, revenge and murder is centered around a company of traveling players. Both operas end in bloodshed and both star tenor Roberto Alagna in the leading roles. The Met unleashes its new Tosca. 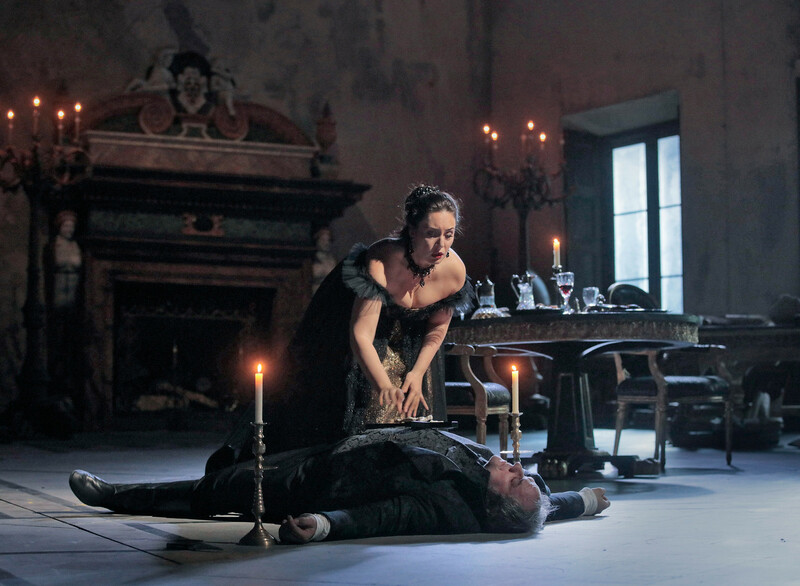 The Metropolitan Opera's new production of Tosca was the most eagerly awaited event of the current season. And on New Year's Eve, the storied New York opera company did not drop the ball.